Manor Primary School children enjoyed themselves yesterday dressing up as book characters and taking part in activities for World Book Day. 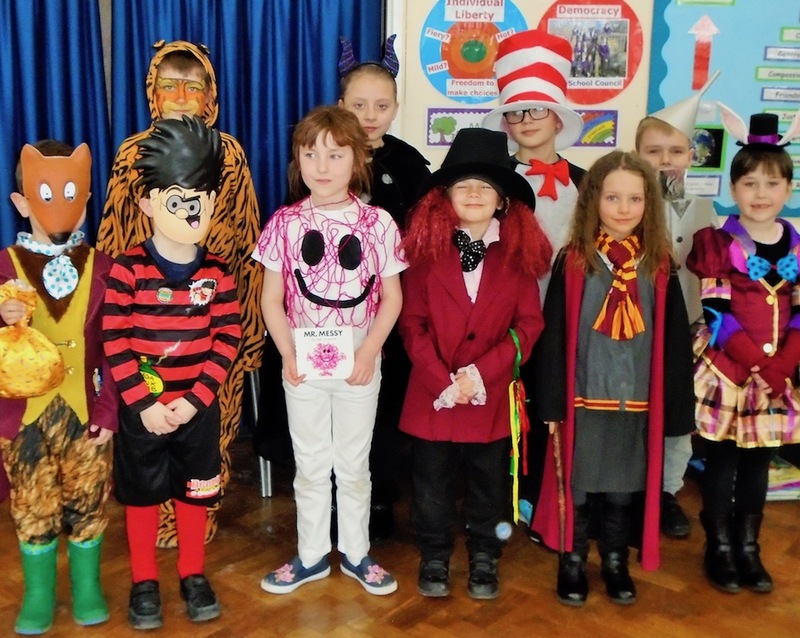 Manor Primary School children, all dressed up for World Book Day. There was a special assembly in the morning and teachers organises quizzes throughout play times. There was also a story-telling session at lunchtime. Reading was on the agenda in partnered year groups and there was a giant book swap too. Characters in the photograph are Fantastic Mr Fox, Dennis the Menace, Tigger, Mr Messy, Malificent, Willy Wonka, Dr Zeuss, Hermione Granger, the Tin Man and the White Rabbit. The school said a big thank you to parents and carers who organised great costumes even when there was a question mark over whether the school would be open because of the snow.